One of the most effective ways to build authority -- and thus improve the bond of trust between you and your prospects -- is to provide a steady stream of value through informative content. However, doing so can be a challenge, especially when scaling it up becomes a logical progression in expanding your operations and/or outreach. Thus, take comfort in the fact that not even Albert Einstein knew everything. And really, that practical advice is not only a welcome sign of humility, it also goes a long way in confirming credibility. 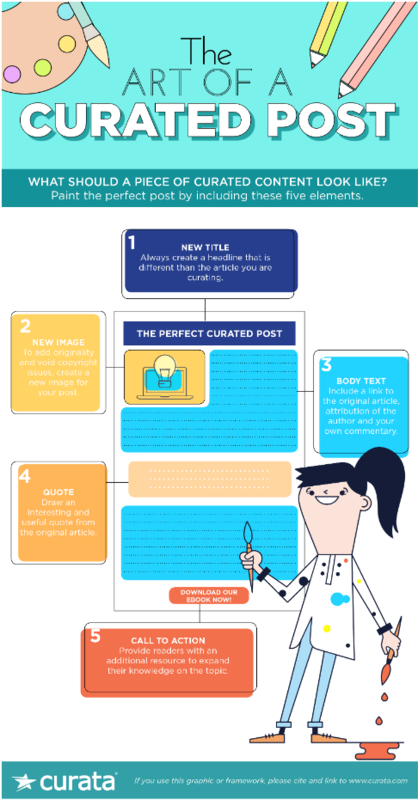 In essence, then, have something to say as your top priority when you post. The sell part will come when your prospect is ready to trust you -- emphasis on you -- to resolve an issue or problem for them with your product and/or service. Scoop.It aggregates additional related articles to those you're seeking. Finally, take note of the time it took you to move from idea to publication. Ensure the content is evergreen -- ie- timeless -- so it won't date quickly, and compose a few more posts to understand how long you'll need to assemble a quality article. This will enable you to know how frequently you can set aconsistent publication schedule. Visitors are more likely to return when they know when and how often you'll have something new for them. Once you've attracted enough visitors who are saying that, your content marketing campaign will be in position to start producing a stream of rewarding results.